Organizations in the education sector (schools, universities, colleges etc.) often have a significant amount of sensitive information contained in student and staff records. This makes them a prime target for attackers and also means that accidental data breaches can be enormously expensive. LepideAuditor offers you the ability to regain control over the IT security and IT compliance readiness of your educational enterprise. Inactive accounts can be misused to gain illegitimate access to network resources, which can be a serious threat to security and compliance in the educational sector. Relying on native auditing to identify and remove these obsolete accounts is not practical in environments that are large, complex and evolving (such as in schools, for example). 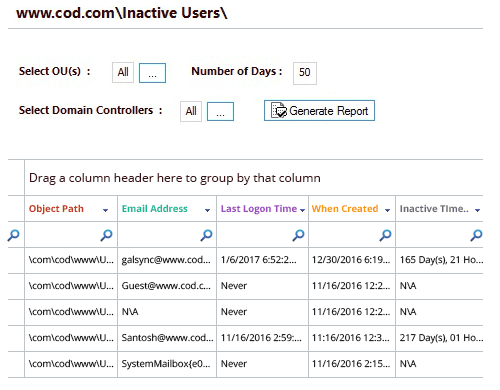 Using LepideAuditor, IT teams can easily track and remove inactive accounts in just a few clicks. 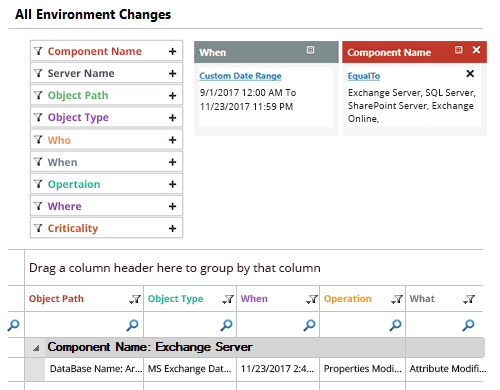 Upon detecting critical changes, you can use customized scripts to automate response; such as password resets, disabling the dormant account, moving it to a standalone Organizational unit or deleting the account. The implications and risks of education organizations failing to comply with legal requirements include hefty fines, penalties and lawsuits. The predefined compliance reports offered by LepideAuditor help you meet compliance regulations like FERPA, FISMA, GLBA, SOX, PCI, GDPR, and more. You get granular details of logon and logoff activities, audit policy modifications, details of password resets, successful file reads and much more. Anybody with access to sensitive files and folders, perhaps those containing confidential student information, can make changes that could damage the security of an educational organization. Such actions could lead to data breaches or the destruction of valuable information forever. 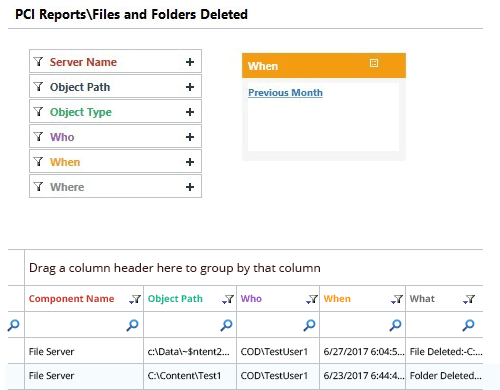 The consolidated audit reports generated by LepideAuditor provide in-depth details for all interactions with files and folders; including data accessed, modified, copied, deleted, created or renamed. 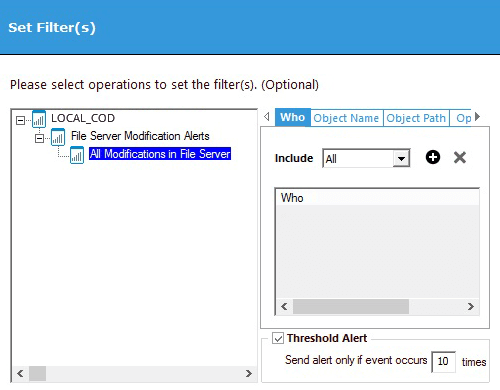 Real-time and threshold alerts can also be set for all these actions within our solution. With most organizations relying on third-party applications like File Systems, Office 365, Dropbox and SQL Servers for data storage and management needs, deriving proper insights about these platforms is essential when it comes to meeting compliance and solidifying IT security. IT admins need to be vigilant when monitoring these servers as they usually contain large amounts of records and documents with sensitive information. 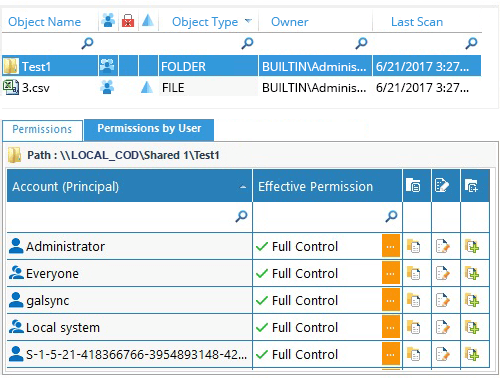 LepideAuditor helps you track configuration and permission changes made to these platforms including Windows Active Directory, Azure AD and Group Policies. The consolidated reports have granular details of reported events and deliver real-time alerts that cater to the auditing needs of multiple platforms in your IT environment. The over-privileged users, accounts and computing processes you have, the higher the chance that these rights will be abused. A rogue user with unlimited access to resources can retrieve and store large amounts of data, and then trade or destroy it for personal gains. It is crucial that IT admins keep an eye on activities that might lead to abuse of legitimate privileges. LepideAuditor, with its comprehensive reporting and real-time alerting features, enables you to monitor permission changes. 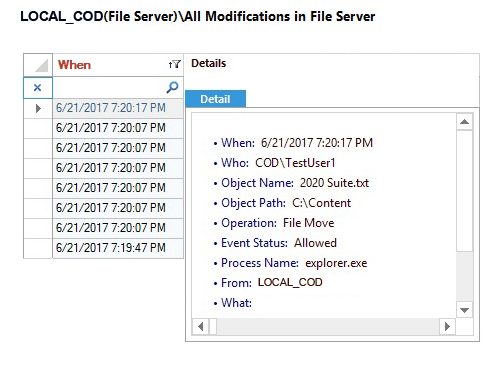 You can execute custom scripts to revoke permissions, or use the inbuilt Object State Restoration feature to restore the permissions of selected Active Directory users to a previous ideal state. Our automated solution allows you to pick a shared file or folder to check who has what permissions to it. You can also reverse permission changes using this solution. Cyber-attacks, like ransomware, threaten to destroy valuable data assets, bringing organizations to a standstill, causing damage to both the brand and bottom line of educational organizations. LepideAuditor enables you to spot anomolous event trends by continuously monitoring and tracking interactions with files, folders and systems containing critical information. Our solution lets you automate script execution upon the detection of unusual changes leading to attacks. The actions that can be executed using these scripts include changing account credentials, terminating a specific process or enabling a firewall policy. Some of the most common causes of account lockouts are end-user mistakes, like typing wrong password or username, loggin in on multiple computers and more. As a result of such lockouts, users are unable to access network assets, company servers and endpoints. Multiple account lockouts could also be an indication that an attacker is trying to gain access to your IT infrastructure. 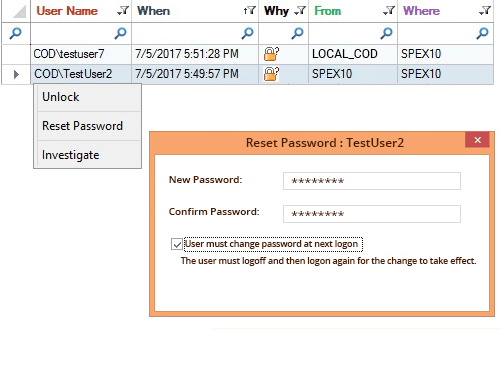 With LepideAuditor implemented into your educational enterprise, you can quickly investigate the changes in the status of Active Directory users and get notified whenever a user account is locked out. Admins can make use of this solution to unlock accounts, reset their passwords and check what the impact of the lockout will be.